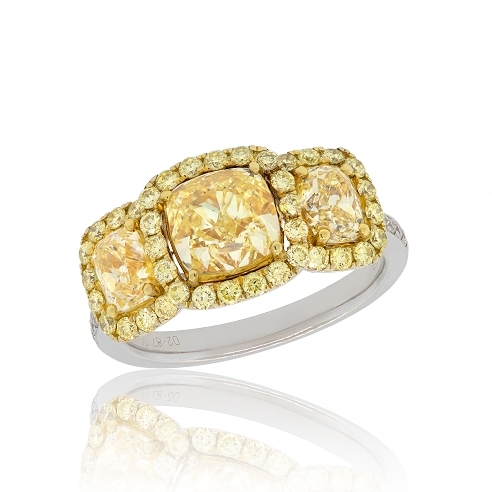 Three cushion-cut fancy yellow diamond ring with halo set in 18k two-tone gold. Center stone is GIA certified 1.71ct. Diamonds approx. 3.65ct. Ring size 6.75.